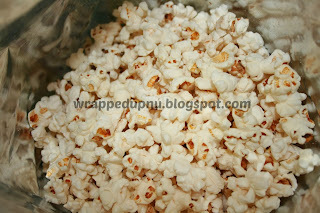 I have always been told you eat with your eyes 1st-Well checkout how cute the packaging is on this popcorn! I love the colors of this bag-it just "POPS". 100% awesome, 0% guilt. 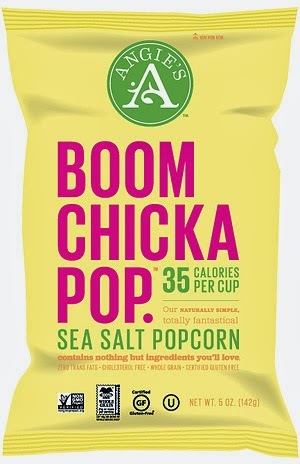 Perfectly sea-salted, this otherwise classic popcorn clocks in at a mind-boggling 35 calories per cup. Made to our exacting, naturally simple standards. 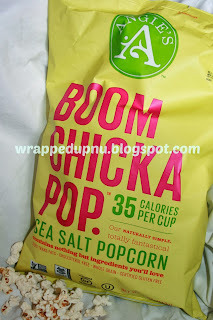 Available in 5 oz., Snack-sized and a Multipack of six snack-sized bags! A select few ingredients are carefully chosen and popped fresh, batch by batch, in Mankato, Minnesota. It’s how Angie’s started, and we intend to keep it that way. Led by founders Angie and Dan Bastian, 150 or so others now help make the magic and the popcorn happen on a daily basis. Together we make 80,000 bags of popcorn daily, deliciously ready for you.